Firstly, I've never been so impressed with a delivery time! Like I said, I ordered pretty late on a Sunday evening and my beautiful package arrived early Thursday morning which, given it came all the way from the US is a pretty quick turnaround! But enough of the boring stuff and onto the good stuff! 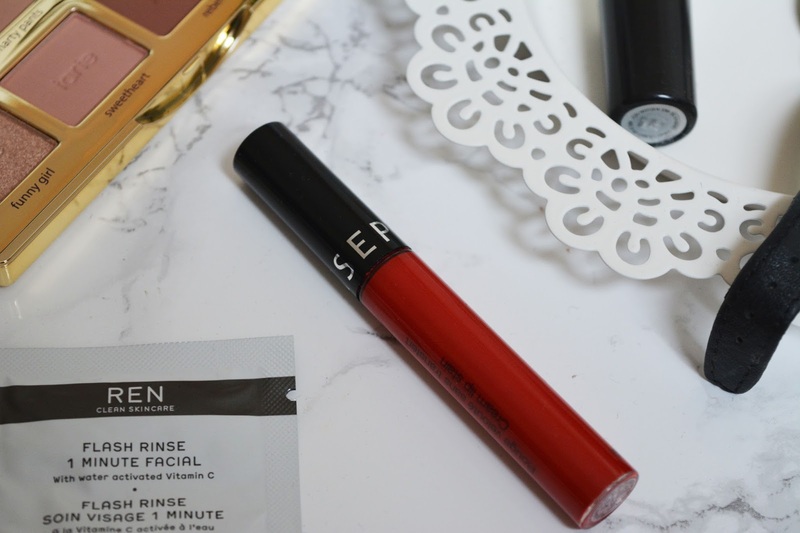 Every blogger and their Nan seems to have one of the Sephora Cream Lip Stains and with no visits planned to America planned anytime soon, I needed to get my hands on one. Obviously me being me I went for a classic red (shock!) in the colour 'Always Red' and I've been using it non-stop since! For $14 (around £9.50), they're such great value for money and the payoff is incredible, especially if you're in for a long night! As with any liquid lipsticks, they come with the price of being super drying on the lips and by the end of the night the texture becomes a little unpleasant but it's a small price to pay for the amazing colour! 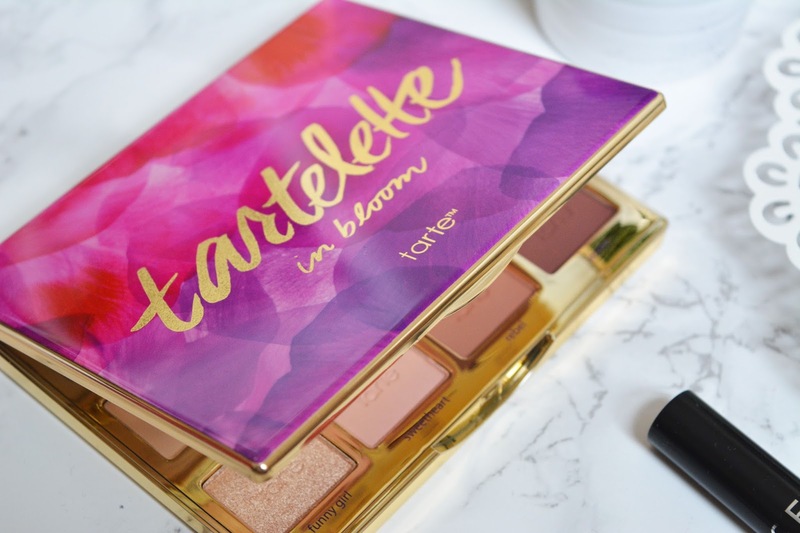 The real star of the show though is the new Tartlette In Bloom palette from Tarte. I've been wanting to try out Tarte products for SO LONG and finally I made my first purchase and kickstarted my collection. Not gonna lie though, I was totally swayed by the packaging. The gorgeous watercolour design on the front of the palette is the perfect addition to my dressing table and makeup stash and what's inside is just as beautiful. 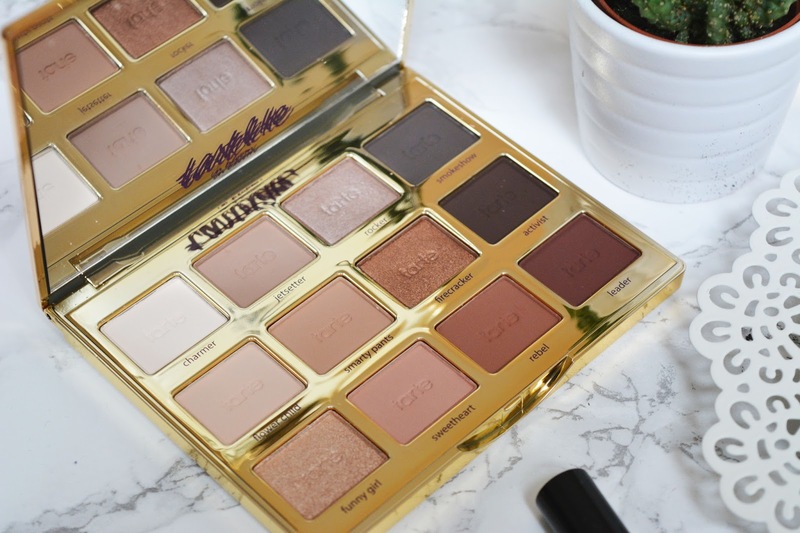 Much like the original Tartelette palette, there's 12 gorgeous Amazonian Clay eyeshadow shades and the range of colours is right up my street. This time round though there's a mix of mega pigmented matte shades and buttery shimmery ones all of which make for the most amazing shadow combinations of which I am having endless fun playing around with! In addition, there's a massive mirror which makes the palette perfect for travel purposes. In my little package, I also received some of Sephora's famous samples! I can't wait to try out the Ren Flash Rinse 1 Minute Facial and the First Aid Beauty Ultra Repair Cream and hopefully add the full size versions to my basket in my next haul! Have you bought anything from Sephora? Any recommendations? Let me know in the comments below and don't forget to follow me on Bloglovin' if you'd like to stay up to date with my posts! The palette looks so so pretty ! I'm trying to decide what I would like from Sephora at the moment as my mum is going to America and said she would pick up some items for me :D ! Your photos are amazing and you look like you got some amazing things!! I definitely need to get my hands on one of those Sephoras lip stains! the tratelette palette looks amazing. so many beautiful colors and the sephora liquid lipsticks seem to be amazing. I've never bought anything from Sephora, purely because I know I'd spend a small fortune! You picked up some amazing pieces, that palette is beautiful. Oooh that Tartelette in Bloom palette is beautiful! I think you may have inspired me to make my own order! The Tarte Palette is stunning! Im trying not to make any Sephora orders as im going to NY in November so i want to save money! Gah, that Tartelette palette! I've actually never bought anything from Sephora before, too, but I'm extra tempted now, haha. Lovely haul, Alice! That Tarte palette looks stunning, love the look of the Firecracker shade! That Tarte palette is seriously stunning! I went to New York in January and literally spent SO much in Sephora, I went back about 6 times haha! The Tarte palette looks so gorgeous, I've never tried anything from Tarte but I really want to! This palette is honestly one of the dreamiest palettes I've ever seen. I think I would use every color in it! I really am considering taking the plunge and ordering. 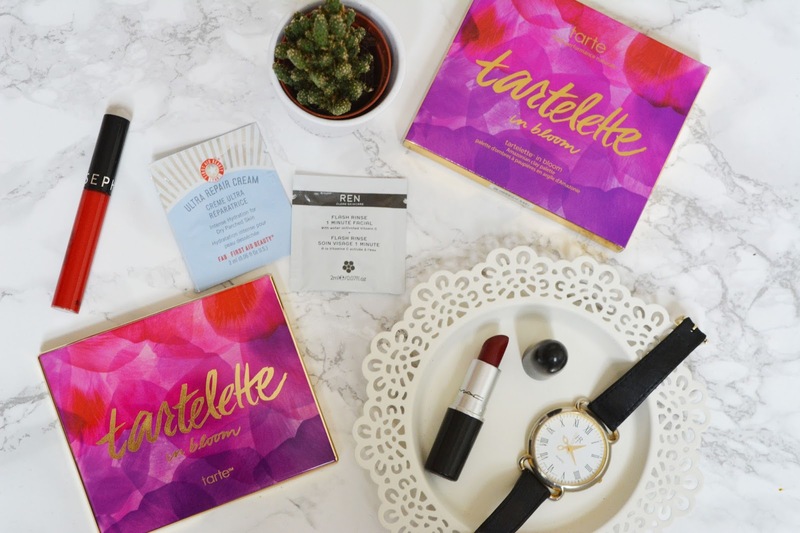 I love Tarte products, so I know I wouldn't be disappointed.